Is Methadone Treatment Easily Reversed? Home › Methadone Maintenance Treatment Resources › Are there Free Methadone Clinics? For many people, drug treatment offers the only means for overcoming an opiate addiction. That being so, the costs of needed drug treatment help can pose a very real obstacle to getting well. Free methadone clinics can be a godsend for those with little to no financial resources. Methadone’s ability to help recovering addicts overcome opiate addiction has created a high demand for methadone treatment. For this reason, payment options can vary from clinic to clinic. State and federal funding sources do a lot to keep methadone clinics going, though finding free methadone clinics can still be difficult to come by. While free methadone clinics do exist, people in need of immediate treatment help may also want to consider other available payment options. In any event, finding free methadone clinics will definitely require a bit of research and perseverance. While the phrase “free methadone clinic” does imply a no-cost option, government listings for methadone clinics use the categories “all free,” partial free” and “no free” care options. According to the Substance Abuse & Mental Health Services Administration, private nonprofit agencies operate the majority of free methadone clinics. In effect, private nonprofit agencies account for 73.8 percent of “all free” clinics. 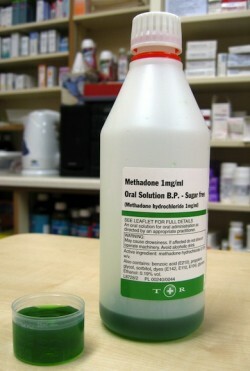 While they may not be very easy to find, free and very low cost methadone centers do exist. Agencies offering partial free care typically employ a sliding fee scale that’s based on a person’s current income level. Private nonprofits operate an estimated 68.1 percent of all “partial free” care clinics. More oftentimes than not, any one methadone clinic receives funding from more than one source. State regulations can also influence what types of funding are available to finance free methadone clinics. Federal block grant monies are only made available to states willing to contribute towards the cost of methadone treatment. This means, grant availability will vary from state to state, so some states may not even offer Medicaid coverage for methadone treatment. Ultimately, block grants enable states to cover the costs of treatment for people who have no other means to pay. As of 2008, an estimated 286,000 people received methadone treatment through private for-profit programs. Not surprisingly, patients were required to pay out-of-pocket costs for their treatment. On average, a daily dose of methadone runs $13 to $25 a day or more depending on each program’s individual cost model. With the passing of the Health Care Reform law in 2014, most every type of health insurance plan will provide substance abuse treatment coverage, which also includes methadone treatments. Under these provisions, people eligible for Medicaid coverage may well be able to find free methadone clinic care options.